Do you ever forget to drink enough? I know it sounds silly and till recently, I thought I was the only one who did this, but after asking around, I realized that many people have the same problem. So, I’ve been reading a lot about how dehydration affect us and I decided it’s really time to get my water intake in order. For example, here's Maria: a fairly healthy person who exercises regularly and eats clean, but till recently she hasn't been drinking enough. In the past, each time she had a check-up, her doctors told her that her horrible migraines, skin problems, and constant fatigue were due to being constantly dehydrated. The solution is simple, they said: drink more! Although it sounded simple, Maria never remembered to drink enough. So one day last month she finally gave in and started a challenge of drinking a gallon of water a day for 30 days in an attempt to see what it would do for her. She documented the whole process, during which she realized there were not enough public bathrooms in New York City and that chucking huge amounts of water at once will make you sick. But then her body miraculously started to adjust and show benefits of her new drinking routine. Her bathrooms breaks decreased, she learned how to sip, her face cleared, her sugar cravings disappeared, her migraine was gone and her energy levels went over the roof. Ha, and all just because she drank more water. Inspired? I definitely am! Do you drink enough? P.S: A few jazzy takes on water and lilac goodness. Ooph, I'm terrible at drinking enough water. I've tried to get better at it, but unless I constantly have a glass next to me in my peripheral vision, I rarely think about it. :( Probably explains a lot! I used to be terrible about drinking enough water but once I realized the benefits, I always make the effort now. 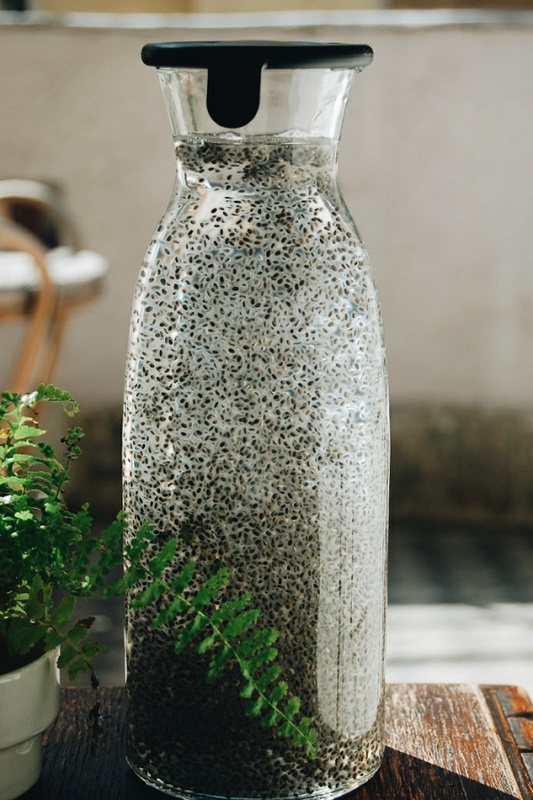 Your chia water looks amazing! Where do you get your chia seeds?